We are located in the heart of KL city, in the old neighborhood of Pudu; VCR brings you fresh coffee daily. The café, built in the 1927 is situated near the old Pudu Jail. The story goes that our lil’ black house in Jalan Galloway was where most wardens used to stay (hence the name Galloway). Where old architecture meets our modern twist, it’s a place where good things never gets old and it always feels like home. Located in an unsuspecting house, we’re the people responsible for the smell of coffee that permeates the neighbourhood. Run by a team that’s dedicated to always giving you the very best coffee and experience, we believe coffee is the catalyst that brings people together. 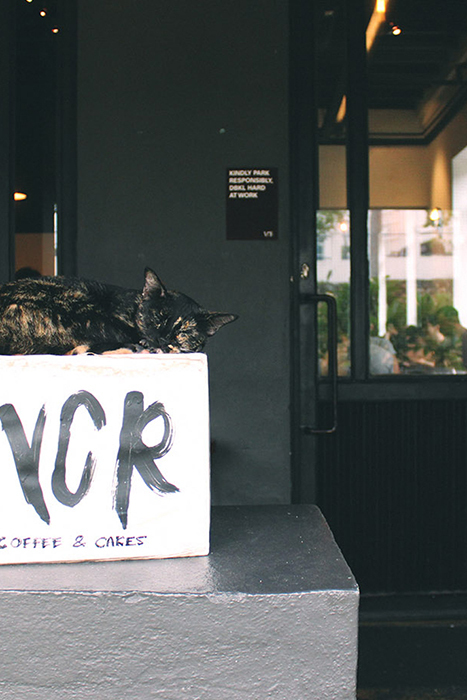 We’re a bit introverted, but do say hello to our baristas as we say “Hello, welcome to VCR!”.